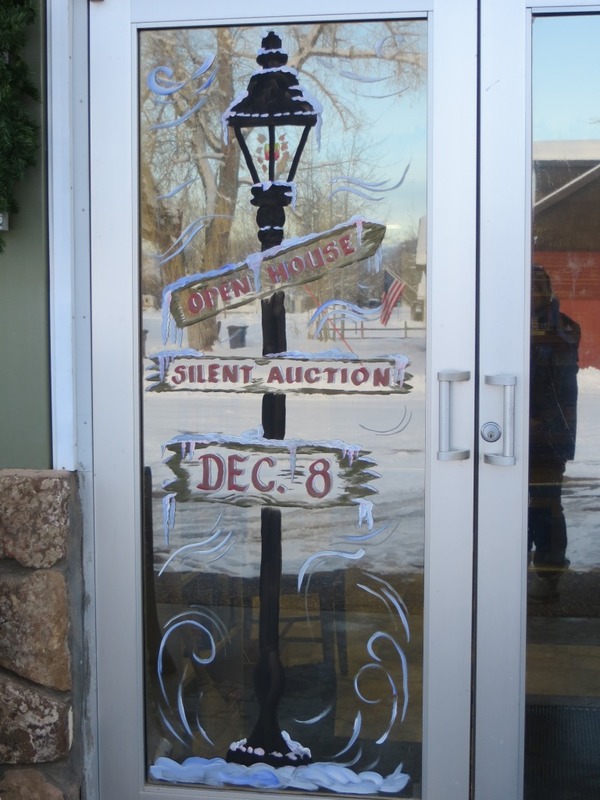 Obviously our Open House and Silent Auction is coming up FAST! The bulletin board inside is decorated as A Christmas Carol by Charles Dickens, so my Victorian lamp post served as my sign post. I’m still looking for a Dickens’ style top hat… I should just buy one off of ebay, though I’m not sure if it would make it here in time! Tomorrow, I hope to make Tiny Tim’s crutch… we’ll see if I have time! We’re still eating well and surrounded by relatives… Hope you’re recovering too! This is beautiful, Carol! Your mom would tell me how talented you are but honestly, most people have a limit! Your talents and energy just go on and on! The lampost is a great idea, and the way you enhanced it by adding the information on the little signs is really cute. Hope you have a successful auction! I’d love to donate a book to your auction, or if it doesn’t get there on time, to you and your library. Wow! Thank you! The Ten Sleep Library, PO Box 107, 82442. How thoughtful! Wonderful!! I Love the way you caught the American Flag in the background. We are finally getting snow (with high winds). What a familiar site this lamp post is. We still have them on a main road. Lots of discussions as to keeping them or not as the road is busy with traffic and there is a school. The lamps look lovely but don’t give off much light. CS Lewis is said to have been walking nearby when he saw a lamp shinning through the snow and he used this illustration in his Narnia book. Its a great painting Carol. Hey, that means a great deal coming from you! You’re the expert! Thanks!